At the end of last year, each of Agora Financial’s editors took a look at 2014. We were all trying to predict the future, perhaps a dubious exercise, and point out an investment or two that might make exceptional sense in the year ahead. 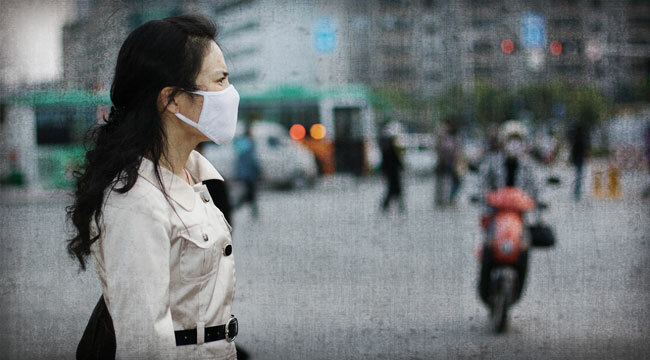 At the time, I was concerned about a new outbreak of avian flu in China that was killing more than half the people who came in contact with it. The disease had not learned yet to cross the animal-to-human divide, but humans who ingested infected birds or slaughtered them and came in contact with their fluids had died by the hundreds. Ebola has suddenly escalated into a far more fearful disease because it can spread surreptitiously before being detected. I pointed out then to my Breakthrough Technology Alert subscribers that NanoViricides (NYSE:NNVC) would be a prime candidate to receive emergency funding if the disease proved to be more contagious with humans and began spreading. So far, my nightmares have not come true. Certain versions of avian flu remain a nightmare scenario that could break out at anytime, so my fears are still valid. Influenza is an RNA virus, a primitive and persistent plague for which we have few if any medical defenses. Viruses are ancient diseases, and they kill. Modern medicine has been almost useless in dealing with them. Now we have another especially horrible virus popping up again — Ebola. It was first identified in 1976, and like avian flu, it requires contact with bodily fluids to move into a new host. Unlike avian flu, it moves easily from human to human. Some outbreaks of Ebola, which is thought to be carried by fruit bats, have been traced to infections in monkeys or chimpanzees which, when eaten by humans, can transfer the virus. Monkey flesh is prized in many parts of Africa. Ebola is a so-called hemorrhagic fever with a long incubation period of up to 21 days. Both factors are important. The hemorrhagic part means that victims typically begin bleeding internally soon after getting the disease. Ebola kills quickly — so quickly that entire villages in sub-Saharan Africa where most outbreaks have occurred die off before the disease can spread to another village, thus containing it. But the long incubation period means that someone infected with Ebola may not know it for weeks, and during that time, he or she may infect many others. What makes this year’s outbreak in Sierra Leone, Nigeria, Liberia and Guinea so dangerous is that many of the infected are in dense urban areas. Ebola has suddenly escalated into a far more fearful disease because it can spread surreptitiously before being detected. Although the United States’ Center for Disease Control has always jumped on small Ebola outbreaks and sent teams to contain them, the primary tactic has been to quarantine those areas and let the disease die out. Now entire cities are at risk, and quarantining them is a feat beyond local governments and the CDC alone. Ebola may have evolved into a threat that can no longer be ignored or treated with public health strategies like containment. As this disease spreads, fear in the United States of it spreading is likely to push more government funding towards vaccine development. And that affects several of the companies in our portfolio. As you may have read, an American physician and a nurse were recalled from Africa because they had contracted Ebola. They were given two experimental therapies and both survived. They were given an untested drug called ZMapp produced by Mapp Biopharmaceutical Inc., along with serum antibodies derived from the blood of a 14-year-old African youth who had survived Ebola. No one can know which therapy worked — or even if either or both therapies were effective in any way at all — because there is no control group. But we do know that a prominent African physician given ZMapp died Sunday from Ebola after showing signs of improvement. And we know that a Spanish priest given ZMapp died. We know six people have received the drug. Two recovered, two seem to be improving and two died. We can’t make much out of that. Meanwhile, we know that an extraordinary percentage of people given blood serum from people who have survived Ebola also survived. That only makes sense — it’s similar to the way vaccines work — introduce the immune system to a known pathogen so it can make antibodies. Meanwhile, the National Institutes of Health has been working quietly behind the scenes on an Ebola vaccine for years. NIH recently announced it is expediting that program and will enter Phase 1 studies this fall. Crucell biopharmaceuticals and Profectus Biosciences are developing Ebola/Marburg vaccines and have received funding from NIH. BioCryst Pharmaceuticals, Tekmira Pharmaceuticals and NewLink Genetics are all receiving funding to develop an Ebola therapy. BioCryst is planning a Phase 1 study late in 2014. I do think the general unease about Ebola is justified and indicative of just how valuable antiviral drugs could be. To give you an idea how crazy the world and stock markets can get about threats like Ebola, consider the case of Tekmira’s Ebola candidate: The FDA closed down its Phase 1 study in July over safety concerns. (Phase 1 trials are only to determine toxicity of a drug candidate, and this one, in the FDA’s eyes, seemed to be dangerous.) Then about two weeks ago, the FDA relaxed its full clinical halt on the drug to a partial halt, which means it can be used experimentally on Ebola patients. The stock shot up almost 50% in one day. I can’t recommend any of the companies pursuing an Ebola candidate vaccine or drug because we have far too little information at this point to indicate anything out there might work. Furthermore, from a cold-eyed view of profits, an Ebola vaccine, like many vaccines before it, may prove difficult to sell at a high price. Nevertheless, I do think the general unease about Ebola is justified and indicative of just how valuable antiviral drugs could be. Any broad-spectrum antiviral drug is going to be worth tens of billions. Keep your eyes peeled for unique investment ideas in this space. Ed. Note: Stephen has one stock in his portfolio that’s up more than 75% since he recommended entering the trade back in May. Readers of today’s issue of the FREE Tomorrow in Review e-letter got a unique chance to find out the name of this company as well as other future profit opportunities that Stephen thinks are loaded with potential. If you missed it, not to worry… Tomorrow in Review goes out every single trading day, so there’s still plenty of time for you to grab the next issue and all of the great investment advice it can provide. Sign up for FREE, right here, before you do anything else today.